The B360 LGA 1151 Micro-ATX Motherboard from EVGA is built on the Intel B360 chipset supporting Intel Core Coffee Lake-S processors with an LGA 1151 socket. It has two memory slots that support up to 32GB of 2667 MHz DDR4 RAM, one PCIe 3.0 x16 slot, one PCIe x4 slot, one PCIe x1 slot, six SATA III ports, and a single M.2 slot. The M.2 slot supports NVMe SSDs for faster performance compared to standard SATA drives. 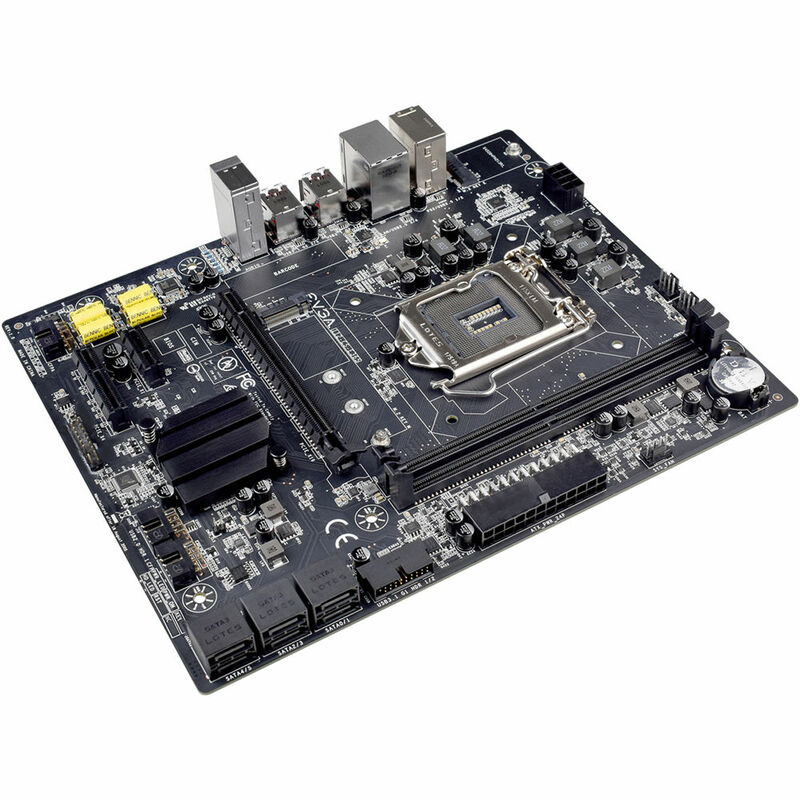 Other features include Intel i219V Gigabit Ethernet LAN, Realtek ALC888 5.1-channel HD audio, EVGA Nu Audio Design with an SV3H615 3D headphone amp, and an E-key M.2 slot for an optional Intel CNVi Wi-Fi and Bluetooth module. Box Dimensions (LxWxH) 13.3 x 10.5 x 3.2"